WowMe shows their special moves with the WWE Slam Attax Live trading game. 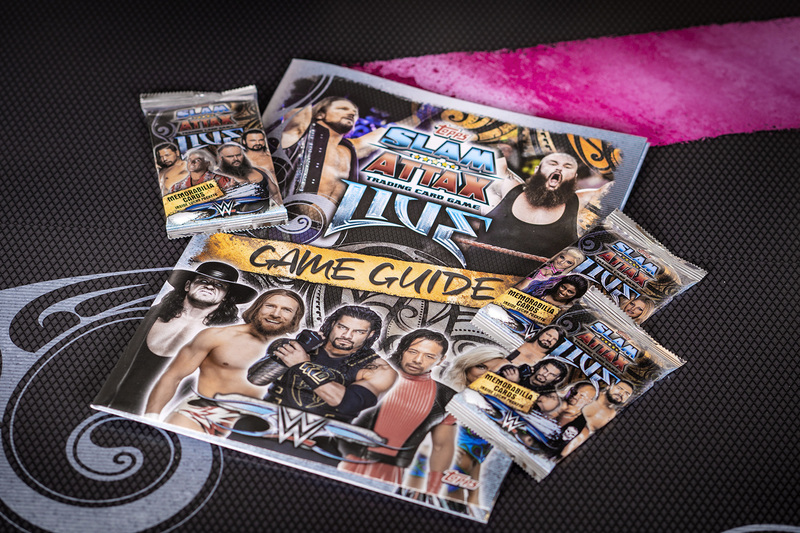 WowMe were briefed by collectibles company Topps, to create designs for their all-new WWE Slam Attax card collection that features everyone’s favourite wrestling superstars. Whether you’re a fan of WWE Hall of Fame inductees such as Stone Cold Steve Austin & Ultimate Warrior or crazy about current Superstars from Raw, SmackDown Live & NXT all of the stats you need are contained within the Slam Attax Live collection! Slam Attax Live launched in July and is available in-store and online now.